Back to previous page | Home Action for M.E. Eventually, a year after the accident, Nicky was diagnosed by a rheumatologist with M.E. (myalgic encephalomyelitis) – a chronic neurological condition causing debilitating pain, fatigue and a range of other symptoms – and fibromyalgia, which causes widespread pain. “Although by that point I was desperate for a diagnosis, I was heartbroken to hear it was M.E. They told me there was no cure and nothing they could do. 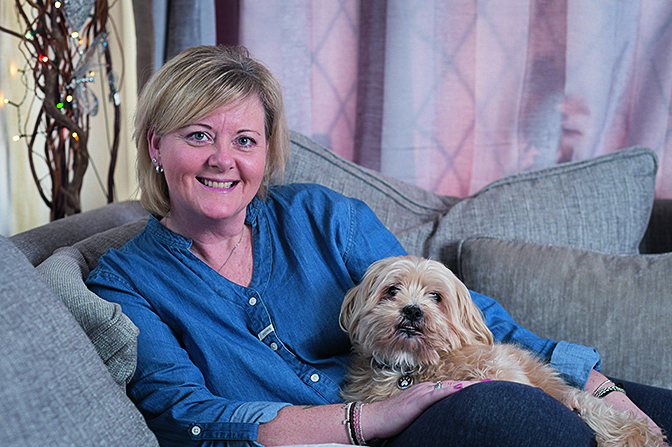 Nicky found herself struggling to cope with the devastating impact of her symptoms. Over the next year, Nicky battled with depression. “I wanted to die as I felt like I couldn’t cope with another day of pain, misery and isolation. Most of the time I was too exhausted to even have a conversation, and when I did, nobody seemed to understand what I was going through. Nicky also signed up to the charity’s online forums. “Signing up to the online community was an absolute lifeline. Being bed-bound, the internet is often your only link to the outside world, and it was incredible to be able to log on and chat to other people who understood exactly what I was going through. We have a laugh about things other people wouldn’t understand, swap tips on everything from the best supplements to the best places to buy underwear for people with chronic pain, and support each other through everything. Due to the support of the Action for ME online community and new medication – as well as dietary changes and a mindfulness programme, which were inspired by conversations within the community – Nicky now feels much better equipped to cope with her condition. “The pain and fatigue are still constant, and if I look at how full my life was before it is easy to get upset. However, I have learned to focus on the positives, accept my new life and take one day at a time. ME affects an estimated 250,000 people in the UK, and 17 million worldwide – one in four of whom are house- and/or bed-bound, unable to manage even basic self-care. Action for M.E. helps children, families and adults with ME to cope with the impact of the condition, and feel less isolated. Action for M.E.’s information and support resources are downloaded nearly 20 times every hour. Action for M.E. offers a number of support services for both children and adults affected by the condition, including telephone helplines, a website and online forums. It also supports researchers and research activity into ME, which currently has no cure and very little understanding around how to treat it. 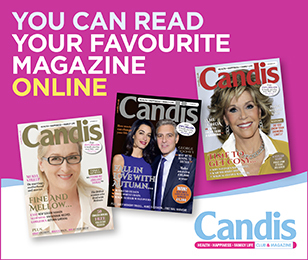 The charity will use the money raised in the Candis Big Give to extend the reach of its support services in 2019, with the aim of ensuring an extra 2,300 young people and adults with ME and their families receive vital information and support, as well as driving collaborations and supporting more research into ME over the next year. For more information, visit actionforme.org.uk or call 0117 927 9551.